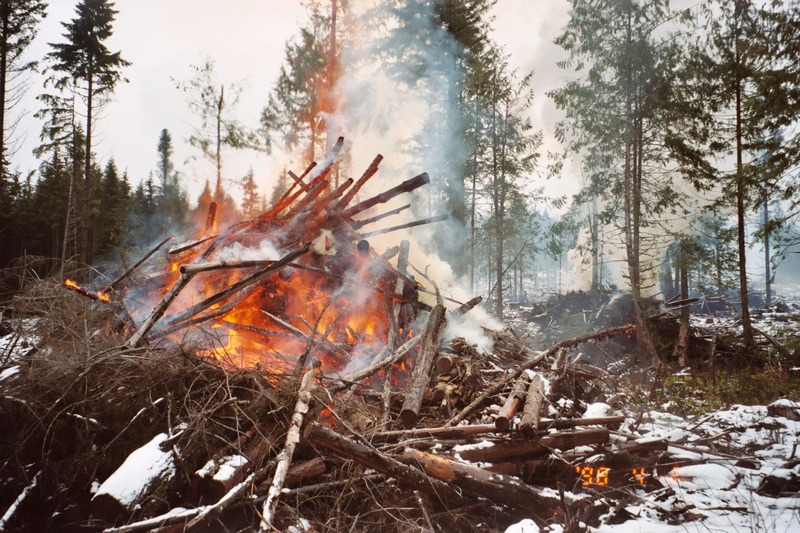 With slash piles around and the cold November rain right around the corner, it’s a perfect time of year for forest landowners to consider their outdoor burning needs of branches and bark left behind after thinning, pruning or harvesting forest trees. So, to answer the question of is it burning season: Yes, but not if the air quality is poor in your area. Fire danger is low once again here in Western Washington as summer fades away and temperatures cool down. Burning slash now avoids the future risk of uncontrolled fire during the summer, and it reduces the potential for nuisance smoke later amid the cold winter air. Burning can also reduce the number of insects harmful to the forest that overwinter in slash and create more open ground for forest regeneration, which can boost forest health. Nearly all slash burning is done under permits issued by the Department of Natural Resources (DNR). These permits address how much can be burned, what equipment can be used and that attendance is mandatory on site during the burning. Other land-clearing burning typically falls under county permits. DNR also can deny burning if conditions could cause a fire to escape or if there is unhealthy air. DNR fire personnel, county fire dispatch centers, and county fire marshals are notified daily of permitted burns. Forest landowners are looking for those slightly breezy days ahead of or following a period of rain when there is upward movement in the air to help the fire burn hot and disperse the smoke high in the atmosphere. Don’t be alarmed when you see columns of smoke or flames at night in the hills. Sometimes the amount of smoke or height of the flames may seem alarming and similar to what wildfires produce, but the outward spread of the slash fire is controlled during fall burning. A slash fire that burns hot and fast has more complete combustion and produces fewer pollutants than a slower-burning fire. Always follow the Department of Ecology’s website (https://ecology.wa.gov/Air-Climate/Air-quality/Smoke-fire/Burn-bans) for air quality and burn ban information in your area. Slash burns are usually completed and out within a week or two. If you do see smoke from a slash pile that continues to smolder for weeks, please call the forest landowner or your local DNR Region Office.